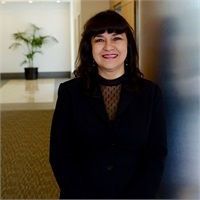 Alma Ambriz is Carey & Hanna’s newest receptionist for the tax side. Alma come to us from Saticoy Country Club, and transitioned well as she was previously familiar with many of our clients. She brings with her over 25 years of customer service experience and is very interested in learning the accounting side. Alma has been married for over 33 years and has three lovely daughters whom are her pride and joy. Two of her daughters are local high school and elementary teachers and one studied Communications. Her husband has been working for E J Harrison for 30 years and they both enjoy soccer. She feels blessed to be at Carey & Hanna!